Sealcoating of the asphalt surface should be done as necessary to help ensure the lifespan of your asphalt surface. Asphalt parking lots are obviously important. They are a means of parking vehicles for periods of time, but also serve as byways for traveling in and out of apartment complexes and other areas. It is of the utmost importance that they be well-maintained. Asphalt apartment parking lots are still easily the most common type of lots. You see, not only are asphalt apartment parking lots functional and practical, but their conditions say a lot about apartment complexes themselves, and their management teams.As someone in the Atlanta asphalt contracting industry for a long time, I know the importance of what I write and share. (Asphalt apartment parking lots abound in Atlanta.) I have experienced all forms of troublesome situations first-hand and helped to alleviate many of them. Maintenance is effective, and very economical. 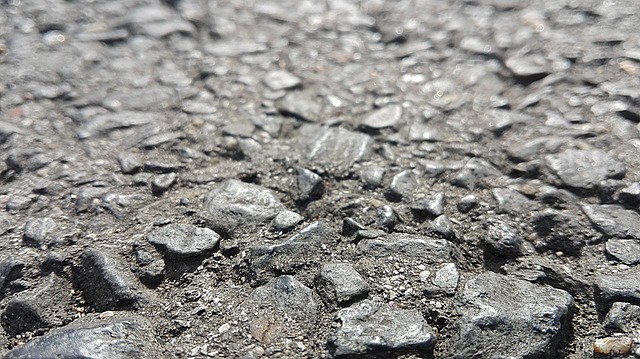 The major difficulty with asphalt parking lots are potholes, cracks, worn-out striping and painting, and debris surfacing from the constant wear and tear they are subjected to via traffic and weather. Pavement experts have proper solutions for each of these situations, and prevention techniques as well. Asphalt Potholes: Potholes not only look tacky, but are a serious driving inconvenience, and do real vehicular damage. An asphalt contractor can properly shape, fill, cover, and level them with whatever filler is required. Asphalt Cracks: Cracks are also unseemly, but lead to deeper structural damage underneath and atop the surface. Water erodes the base, and in winter freezes and expands to destroy the area around it. Pavement contractors can remedy these situations quickly and inexpensively. Asphalt Striping: A sense of organization and “law and order” is necessary for all larger parking lots. Asphalt striping, signing, and handicapped spacing is required, and must be maintained. A good contractor provides these services. A lot should always look crisp and fresh, and be functional and user-friendly. Painted instructions should also be amply visible. The first step in maintaining an asphalt pavement is crack sealing, crack sealing prevents water from entering the pavements sub base through cracks in the asphalt’s surface. If these cracks are left untreated they will eventually turn into potholes and destroy the asphalt surface and the base beneath the asphalt. Once you allow this to happen there is no maintaining the asphalt, you are now looking at having to replace the pavement. It is important to clean the cracks thoroughly before filling them. You will need to clean out any and all debris. This will help ensure the material adheres to the surface correctly. Once all of the cracks are completely cleaned and filled with the asphalt fill material, water will no longer be able to enter beneath the pavement down to the sub-base material. By using this technique you have increased the lifespan of your asphalt pavement in the most beneficial and cost-effective way.